Hong Kong face Germany at the start of the Rugby World Cup repechage tournament in Marseille on Sunday, with team bosses putting their faith in the "most prepared international squad" the city has ever had. Lock Jamie Cunningham will captain the 30-man squad assembled by coach Leigh Jones for the four-nation, round-robin tournament that will decide the team that will complete the lineup for next year's World Cup in Japan. Hong Kong have never gone this far in their quest for a World Cup place, and Jones and his staff waited until the end of two warm-up matches in Wales before deciding on a final squad from a 35-player travelling party. Hong Kong also face Kenya on November 17 before rounding out their campaign against Canada - who have qualified for every Rugby World Cup to date - on November 23. 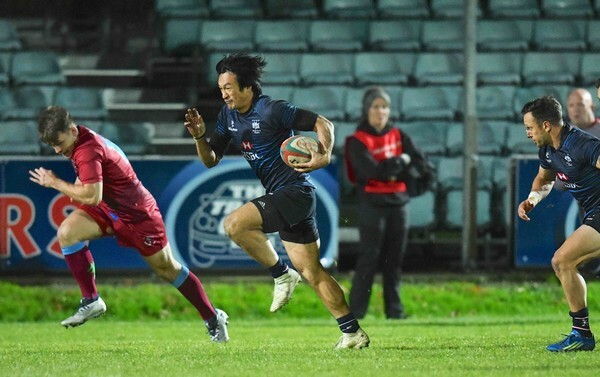 "Selection was tough and there are some disappointed players not to make the final 30," said Dai Rees, chief rugby operations officer at the Hong Kong Rugby Union. "But our preparations have gone really well ... we're in a good space. "This is the most prepared international squad we have ever produced ... but it's still going to be tough." The team have already had "two good training runs on the ground" after arriving in Marseille earlier than the other teams, Rees added. "I think we are as good as we can be," Jones said. "We have worked hard ... But the reality is that we are stepping into the unknown now. We know very little about Germany and Canada. They are preparing as hard as we are, I'm sure, but behind closed doors - so that's a bit frustrating. "In other competitions, you generally know what you are getting, but it has been pretty much a closed shop for everyone this time. We have kept our stuff tight like all of them, so no one knows what to expect really, but the boys are ready to go."